Had a nice flight yesterday where I logged nearly an hour in IMC. I really need to get a better video system setup as I'd love to capture some good quality videos of some of my flights, ideally with an audio overlay from the GMA340. So far I've always subscribed to the mantra that the best camera is the one you have with you, and that always seems to be my EVO phone. It's not great but does the job. Here is a video of skimming the clouds. Unfortunately it was -2 deg celsius and when the moisture started running up the windshield I turned the camera off so I could operate ice controls if needed so it's woefully short. It would be great to get some sort of mount going. It was a great flight and good fun to line up with all the 737's going into Burbank. On the way back it cleared a bit but the last 30 mins or so were night in the clouds, which was fun. My flightaware track shows an average of 186 kts, not bad! Here's a shot of the sunset over Gorman. You could see just a ton of snow in the Siera's too. Yesterday, I had a quick mission to load up with cheap gas and then go see the IA at one of the shops I've used at Livermore, MaintenanceXpress. I tested out the heater again on the way over, and of course it worked just fine. Also I haven't seen a recurrence of the fuel gauge problem, but Chris thinks it sounds like a fuel sender issue. For now it's not a safety of flight thing but might be worth overhauling the fuel sender at annual which is coming up in Feb. On another note, I spent a fair bit of time discussing firewall forward options with Chris. The metal I found in my oil screen was small and most of the advice I've gotten is to just continue to fly and monitor it, which I have been doing. Nevertheless, I'm prepping myself for a firewall forward job and looking at various options. Continental just raised their prices 3%, which puts a factory remanufactured engine just shy of 30k, and of course I have two. Damn these things are ridiculously overpriced! Airplane engines are basically big lawn-mower engines for crissakes! I could probably save a significant chunk of change going with a shop overhaul, but the issue I have is that it's a bit unclear whether I have the more modern "VAR" crankshaft (Vacuum Arc Remelt), or the older style "Airmelt" crank. 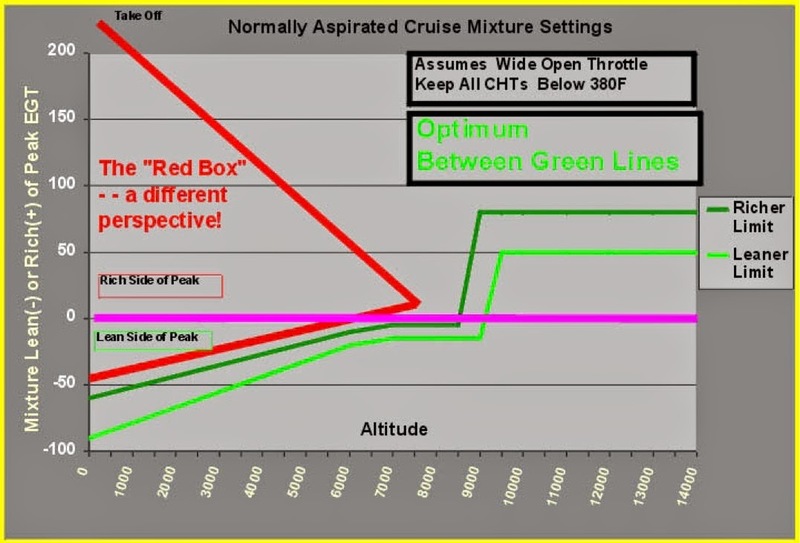 If I have an airmelt crank, Continental won't penalize me for it and will take the engine on exchange for full credit. A shop doing the overhaul would need to replace the crank and charge me for it. Replacing the crank would probably eat away any money I would save by going to a shop vs. the factory. Here is the note I got from TCM. We were able to pull up and check your crankshaft serial numbers. Engine s/n 215733 was manufactured with a VAR crankshaft. However, engine s/n 215734 was manufactured with an airmelt (non-VAR) crankshaft. In any case, if you're going to purchase TCM factory engines it doesn't matter. We will not penalize you for returning engine cores with airmelt crankshafts. In regard to the core exchange, we'll send the new engines and ask that you return the old engine cores within 90 days. TCM will not accept your engine cores until the Factory-Rebuilt or New engines have been shipped from our facility. In any event, having both engines together during the installation is very beneficial to the mechanic(s). There are quite a few things that must be transferred to the new engine (baffles, probes, exhaust, brackets, fittings, STC items, etc.). In most cases, when a core is returned before the factory engine is installed, parts are left on it that should've been kept. And once a core has been processed at the factory, the parts are irretrievable. I should also mention that all TCM factory engines are packed and shipped in a special crate. This crate must be returned, or there is a charge of $200 each. So I'm still not 100% if what he is telling me about the VAR/Airmelt crank is correct, but if it is I could do one factory overhaul and one shop overahaul, or I could just do two factory overhauls. That plus prop overhauls, various R&R, shipping fees, hoses, baffles, mount etc. and I'm probably looking at north of 80k to do both firewall forward jobs with factory engines. Maybe 10-15k less if I can get away with shop overhauls. I just put three new cylinders on the right engine last year so that will also factor into my decision. I can save some dough to keep those and just overhaul them rather than get new jugs. Either way that's tough to swallow when we're probably 3-5 years away from viable diesel technology and the future of leaded aviation fuel is unknown. Decisions, decisions. Years ago I lifted a list of flying destinations in California from the AOPA forums and since then I've been continually adding my own notes and updates. There sure are a ton of great spots right in my backyard. Alturas KAAT: Very friendly small-town FBO with a courtesy car. Town is about a 20-minute walk east, with a few dining options. Rental cars are also available for hiking in the Warner Mtns (gorgeous), and there's a Best Western if you wish to stay the night. Highly recommend a rental car as there's not much to do in town, but the hiking is great. Crescent City KCEC: beautiful flight, especially if you fly over to the coast first and then follow it north. No restaurants on-field, but there are some in town. Hertz rental cars onsite. Check out hiking in Jedediah Smith State Park or drive down to Redwoods SP (awesome.) Definitely worth a couple of nights. Arcata KACV: great college town. Samoa Beach is gorgeous. If your significant other is with you, go to the coffee shop on the southwest corner of town that also has private outdoor redwood hot tubs (really nice and clean, not skeezy like you might think.) Rental cars available at the airport, and there are plenty of hotels in town, and one at the airport. Go beachcombing on Samoa Beach, drive up to Trinidad beach, or hike the redwoods in Arcata Redwoods City Park. Eureka KEKA: airport is about 4 miles from Eureka, which is a cute seaside town with plenty of shopping and eating options. I believe the airport restaurant is now closed, though. Not sure about rental cars. O19 Kneeland: There's nothing here but a strip, 2 parking spots, and a heli fire base. Take a picnic and enjoy the gorgeous views on a summer day. Trinity Center O86: Right on the shores of gorgeous Trinity Lake. Restaurant within 1/4 mile of the field. There's hardly anything in 'town', but the views are great and it's a prime picnic location. No rental cars. Redding Benton: The Airpark Cafe is now open again, and it's tasty. If you like dogs, it's the only airport I know of in CA with a dog park adjacent to the tiedowns. Weaverville O54: Fly in for breakfast at Noelle's Garden Cafe. French toast is to die for. Town is about a 25--30 minute walk south of the airport, and it's got some interesting relics from the Gold Rush days. A few hotels are also available. Watch out for the one-way runway (land north, takeoff south, basically no matter what the wind's doing.) The slope is quite steep. My all-time worst landing occurred here. Red Bluff KRBL: On-airport cafe is pretty good. Fuel is usually quite cheap. If you break down, DMK Aviation on-field is awesome...I get all my annuals and major maintenance done by Dave Hall. Red Bluff itself is a small, cute little town, but I don't believe rental cars are available -- and town is about 3 miles from the airport. Garberville O16: Town is a 30-minute walk from the airport, which is located in a really pretty area. Don't fly really really low over the surrounding areas... most of America's pot is grown here, and the farmers don't like what they fear may be low-level DEA surveillance planes. Quincy CA 2O1: Airport is in a gorgeous valley. Town is about a 5-minute walk away. Good pizza. No rental cars. Nervino O02: A long long walk from town, so I bring a picnic and just hang out in the comfy pilot's lounge. 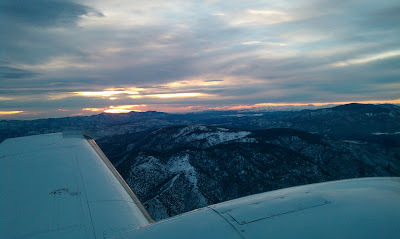 Not much here, but the flight across the Sierras is pretty. Truckee KTRK: Eat at the on-field restaurant or rent a car and dine in Truckee, or drive south a few miles to Lake Tahoe. Northstar Ski Resort offers a free airport shuttle. Blue Canyon KBLU: Not much here, but it's a good place for a picnic. On hot summer days, watch the density altitude. Good way to scare students: Try to depart in a fully-loaded 152 at noon in August. If that doesn't teach them about density altitude, nothing will. Chester, CA O05: Town is about a mile walk from the airport. Lots of restaurants. Pretty lake. The FBO sometimes has bicycles available for local use. H47 Hyampom: Nothing here except an airstrip and a beautiful river. Take a picnic and sit by the river and laze away a summer afternoon. F62 Hayfork: Town is about a 10-minute walk away, with some greasy spoon options. D63 Dinsmore: The approach and departure will really get your attention. There's nothing here besides the road and the airstrip, but bring a picnic and sit by the river. T42 Ruth: A pretty little valley. Take a picnic, lay down a blanket, and enjoy the California sunshine. Nothing much here but the strip itself. Shelter Cove: The most gorgeous airport in CA, in my opinion. A number of restaurants, although their hours can vary. Plenty of hotel/ B&B options. I usually bring a picnic and walk 3/4 mile north of the north end of the strip, along Dolphin Way, to the lovely black sand beach. Definitely worth an overnight, though the lack of IFR approaches makes it tough to plan a trip in advance. Little River KLLR: Mendocino is a gorgeous coastal town. Unfortunately the airport is 6 miles from town and the only way to get there is a pricey cab or Enterprise or Hertz. Still ,if you have a full day it is worth the trip, and it's most definitely worth it if you have a full weekend to spend. The airport now has a GPS approach so it should be easier to get into. Willows KWLW: My all-time favorite airport greasy spoon (Nancy's) is open 24 hours. There's cheap avgas, plus a Wal-Mart across the street if you need to do your shopping! Not much in the town itself, though. Chico Ranchaero O23: The fun college town of Chico is a 25-minute walk east of the airport. Ignore the "Prior Permission Required" NOTAM, it's something to do with the county/ tax problems. The airport is open and they'd love to have you. Cheap gas, too. Great pilot lounge. Make sure you're current on your short-field technique, especially on those 100 dF summer days. Chico KCIC: Rental cars are available here, but you can't walk into town and fuel is higher than at Ranchaero. Haigh O37: Not much here to speak of. Bring a picnic, as it's a loonnnggg walk to town. Corning 0O4: Town is about a 30-minute walk from the airport. Plenty of burger joints. Covelo O09: Truly in the middle of nowhere, but if you walk about 20 minutes east you'll find a few greasy spoons. A very pretty valley, although I understand it's practically the meth capital of California. Oroville OVE: There's a golf course next to the airport if you happen to have your clubs. Stay away from the golf course restaurant (it's terrible.) But fuel is usually cheap. Don't bother with the town of Oroville; it's about the most depressing town I've ever seen in California. Ukiah KUKI: Ever wanted to eat a wild boar burger, or an elk burger, or a venison burger? Across the street from the tiedowns is the cafe that'll serve 'em all to you. Walk 20 minutes north into town and you'll find some decent restaurants and shops. The 2nd week in October, they do the Harvest Fest. Taylor and I have been to the Festival twice now. Boonville D83: A very pretty airport. Town is a 10-minute walk away. Stock up on wine and Boonville beer. Don't taxi on what looks like the taxiway -- it's the county road. If you wish to stay overnight, there are some decent hotels. Lampson (Clear Lake, 1O2): A really pretty lake. Airport had an on-field restaurant which is closed but slated to open again soon (as of 5/2015). A good maintenance shop on the field is Tom's aircraft. They are real nice folks and have a courtesy car they might let you use. There are a couple decent spots to eat in town. Yuba Co. KMYV: Good on-field restaurant. Friendly FBO with a courtesy car. Downtown MYV is worth a brief stop. Georgetown E36: Final approach from the north can be a bit hair-raising, but bring a picnic and sit in the campground and enjoy the quiet. Overnight camping is popular here. Colusa O08: A good cheap gas stop. Not a lot else here. O52 Sutter County: Plenty of Mexican restaurants within a 20-minute walk. Or you could bring a picnic and sit by the river. Auburn KAUN: Good food at the Wings Cafe. There's also food at the golf course restaurant a few minutes' walk away. Ocean Ridge: A gorgeous airport, but definitely one of the toughest strips I've ever flown into. Trees at both ends, and the runway slopes sharply down and then sharply up again. Bring a picnic and enjoy the views. Don't take anything larger than a 182 in there, assuming you'd like to get it out again. Watts-Woodland O41: There's a golf course restaurant at the north end of the field, Yolo Fliers Golf Club and the do welcome fly in guests. Men need a collared shirt to dine inside. Lunch 11:00 to 2:00 every day but Monday and breakfast and lunch Saturday and Sunday. Thanks to Bruce Watts for the update! Davis EDU: Good if you're flying into the U. of Davis. Aside from that, there's not much here. Sacramento KSAC: SAC Jet Center is very welcoming, and the Red Baron restaurant is pretty decent. Rental cars available, of course. If you need avionics work, Ron Hitchcock at Executive Autopilots does top-notch work. McClellan KMCC: A sprawling former Air Force base. There's an air museum at the north end that I haven't yet been to, and they consistently have the cheapest gas in the area at the self serve pump on the west side. O61 Cameron Park: A cute little residential airpark with a hill right where final approach should be. Limited transient parking, but there are plenty of restaurants across the street. O20 Kingdon: If there's anything here beyond cow pies and cow odor, I haven't yet found it. L53 Lodi Airpark: Great place to practice your short-field landings (strip is 1800' long, and gets incredibly narrow at the west end.) There is a cafe here now and the food is pretty good, with some nice healthy options as well. Cloverdale O60: Bring a picnic, sit by the Russian River, and enjoy the view. Watch for skydivers, though. Santa Rosa KSTS: Stop by the on-field aviation museum and get lunch at the on-field restaurant. Some nice shiny corporate FBOs with rental cars are available. Probably the best airport for access to the Wine Country of Healdsburg, assuming you need a rental car. Yolo County KDWA: Ever wanted to sky-dive? Here's your chance. Not much else on-field, though. Rio Linda L36: Good place for a quiet picnic. The waterski place appears to be closed, though. Lincoln KLHM: Good pilot's lounge and great picnic area. Kracon Painting (on-field) is really top-notch. Placerville KPVF: Call Lightning Taxi for a ride into the restored old Gold Rush town. Westover County (O70) and Calaveras (KCPU): Not much goin' on, but they always have cheap avgas. From Westover Co. you can walk into town (10 minutes) for food. CPU is a long way from town, so I bring picnics. Napa KAPC: Fly in for steak at Jonesy's Steakhouse. Great for a post-Bay-Tour meal. Sonoma Skypark: A nice sleepy little airport in the heart of wine country. Bit of a long walk to downtown Sonoma ,though...you may want to call a cab. Novato KDVO: Well-known for consistently being the windiest airport in the Bay Area. Great for crosswind training. There's a Days Inn not far away. Petaluma O69: Awesome burgers and fries at the Two-Niner Diner. Definitely in my Top 5 list of best small GA airports in the country. San Francisco KSFO: Who feels like spending $100 on the landing fee and paying Signature's fuel prices? Not me. Columbia O22: Walk into the restored Gold Rush town, about 15 minutes from the tiedowns. Half Moon Bay KHAF: Park at the south end of the strip and walk to a number of restaurants, or eat at the Three-Zero Cafe. Great coastal views. Concord KCCR: Rental cars available, plus there's a Sheraton Hotel with a restaurant right on-field. KLVK Livermore: An on-field golf course, plus a restaurant, and the Bay Area's best aerobatic training. KTCY Tracy: When Bay Area pilots want cheap gas, this is where they go. Not a lot else at the airport, although the picnic tables are nice. KPAO Palo Alto: I've only landed here about 500 times (counting student pattern work), but sadly have never gotten out of the airplane. Good place to go in order to watch Silicon Valley types try to fit their PC-12s, TBM-700s, and CJ1s into a 2600' strip. Y'all watch that Vref speed, hear? San Carlos KSQL: Eat lunch at the on-field greasy spoon and check out the Hiller Air Museum. Definitely worth a stop. Reid-Hillview KRHV: The Pilot Shoppe is definitely worth a stop. There's a mall across the street. Not that I'm into malls. Byron C83: Cheap gas, strong crosswinds (great for training), and parachute activity makes this a busy place on weekends. Not a lot else around, though. Stockton KSCK: There's a restaurant here, but it's closed on weekends. Top Gun Aviation is a favorite among local Mooney owners needing maintenance. Castle KMER: Walk to the air museum, which has an SR-71, B-36, FB-111, F-4, B-17, B-50, F-80, F-84, F-100, F-101, F-105...get the idea? Pine Mtn Lake E45: Ever since the Corsair Cafe closed, I haven't been back to PML. It is a pretty strip, though. There's no 'town' per se, so bring a picnic if you require food. Oakdale O27: Not a lot here besides a gas pump and a small FBO. Mariposa KMPI: There's a greasy spoon about a 1/4 mile from the airport. Cheap gas, too. The FBO is new as of Oct 2010 and is really trying hard. Rental cars available. Modesto KMOD: Often has cheap gas. Sky Trek Aviation is popular amongst the Beech set (piston and turbine) for maintenance. O15 Turlock: Avoid this airport like the plague. Ramp pavement is full of huge rocks, and the airport 'manager' refuses to sell fuel to non-based pilots. Merced KMCE: One of the least inspiring airport diner meals I've ever had, but hey, it's an airport. What's not to like? 3O1 Gustine: Even cheaper gas than Tracy, usually. Aside from that, it's a ghost town. E16 South County: Has a small air museum that's worth a visit. Hollister KCVH: There's an on-airport diner and usually some entertaining aircraft types buzzing around the pattern. South Lake Tahoe KTVL: Good restaurant with great runway views right in the terminal, with a very friendly FBO to greet you. Currently the only way into town is via rental car, cab, or a very very long bike ride, as there are no courtesy cars available. But if you're in the mood for some gambling, KTVL and KRNO are really your best bets around this area. Watch the density altitude, and don't even think about trying to depart to the south in a heavily-loaded piston aircraft. Watsonville KWVI: Lovely views as you descend towards the Pacific. There's a new restaurant on the field called Ella's and it's quite good. I had the tri-tip sandwich and the pizza and pasta also looked really good. Salinas KSNS: A pretty decent restaurant is on-field. King City KKIC: Sean Tucker's school is here, so if you're up for some lessons, this is where you want to be. Town is about a mile away, with some decent Mexican food. Marina KOAR: There's supposedly a restaurant within a mile's walk, but we couldn't find it. Lots of parachute activity on weekends. Aside from that, it's like stepping back into the Twilight Zone...it's completely dead. Los Banos KLSN: Ryan's Place (across the street) has huge portions of tasty diner food. There's also a movie theater. Why not fly in for dinner and a movie? Fresno Chandler KFCH, Woodlake O42, Visalia KVIS, Porterville KPTV, and Delano KDLO all have good on-field restaurants. From KFCH you can walk into downtown Fresno if the urge strikes you (though I can't imagine why it would.) Tailspin Tommy's is the newest little cafe right at the south end of the field and they make a decent omelette (559-268-2880). Tulare KTLR: Mexican food right across the highway. Madera KMAE: Not much here, but the pilot's lounge is stocked with magazines and there's a nice patch of grass outside that's perfect for a picnic. Firebaugh F34: Why fly to Baja? Firebaugh itself feels like you're on the other side of the border. Darn cheap tacos, I must say. E79 Sierra Sky Park: A pleasant little residential airpark. Bring a picnic -- it's miles from anywhere. Harris Ranch 3O8: Legendary burgers and steaks. Although between you and me, I think it's over-rated. Paso Robles KPRB: The new FBO (same guys who run the SBP Jet Center) is trying hard. While there's no restaurant on-field anymore, they do have a courtesy car. Wine tasting is just a few minutes' drive away. Also check out the Estrella Warbird museum on-field. Hanford KHJO: Town is a solid 40-minute walk away. There are some OK food options in town, though. San Luis Obispo KSBP: One of my all-time favorites. Eat at the on-field restaurant or rent a car and explore the college town of San Luis, plus Morro Bay. Hearst Castle is 40 miles north. Or drive 10 south to Avila Beach, or 15 south to Oceano's Dunes and rent a dune buggy/ ATV. The San Luis Jet Center has the, er, most easy-on-the-eyes front desk staff you'll find anywhere. Woodlake O42: The Runway Cafe serves tasty grub. Porterville KPTV: Good food at the on-airport cafe. Delano KDLO: The restaurant now appears closed. Aside from fuel pumps, there's not much here. L05 Kern Valley: Good on-airport restaurant. Interesting approach into the airport. L17 Taft: Read the charted arrival and departure procedures carefully. I saw a guy in a Bonanza ignore those procedures. He wound up in a tree. Town is about a mile away, and there's a 50s diner that probably hasn't changed since, well, 1950. Neither has the town, come to think of it. Santa Maria KSMX has a small aviation museum and a good on-field Mexican restaurant (Pepper Garcia's). Santa Ynez KIZA is one of the prettiest GA airports I've seen. Town is a 10-minute walk away. There's even a casino in walking distance. Lompoc KLPC: Town is about a 15-minute walk away, with plenty of food options. Santa Barbara KSBA: One of the more expensive places to land a piston single, that's for sure. But the town itself is delightful. (You'll need a cab or a rental car to get there.) Or you can walk to the S end of the airport, by the beach, and there are dining options there. Oxnard KOXR: Good FBOs. Rental cars available. Only a few minutes' drive from some lovely SoCal beaches. The town of Ventura is also worth a visit. Van Nuys KVNY: More FBOs than I can count, plus a delightful aviation-themed hotel on the east end of the field. And it's just cool to hear the controller say "Cleared to land One Six Right" after you've seen the movie. Burbank KBUR: It ain't cheap, but if you have business in the Valley or downtown LA, this is a great option. Santa Monica SMO: Multiple (tasty) on-field restaurants. Don't bring your un-hushkitted G-II, as the residents get twitchy about those noisy small airplanes. Palm Springs PSP: Try to ignore the fuel prices and ramp fees, and check out the air museum on the east side of the airport. A must-see. Palm Springs TRM: Thermal self serve is the place to go for cheap gas in the Cochella valley, super nice folks here. Cararillo CMA: The best on airport restaurant in California at the Waypoint cafe. Also the Commemorative Airforce has some cool planes here... but definitely hit the tri-tip Wednesday at the cafe. Victorville KVCV: The most accessible 'boneyard' I've seen. Plenty of mothballed, timed-out heavy jets awaiting cleanup and return-to-service in, oh, Paraguay. (I kid you not...last time I was there, one of the locals showed me a 747-100 that had apparently exceeded some sort of outrageously high hour limit on something structural, and was sitting at VCV waiting for the guys from Inner Mongolistan Airlines to show up and fly it home.) No food on field, but you can usually talk the FBO into lending you a car for a run to the golf course restaurant. Lancaster KWJF: It was snowing when I last landed here. We didn't stay long. L35 Big Bear: A great weekend destination. Rental cars and restaurants on-airport. Just watch your density altitude. Four people in a Cherokee 140 on a hot summer day...(or on a cold winter's day, come to think of it)...well, all I can suggest is, make sure your insurance is paid up. KSNA Orange County: Plenty of big-jet FBOs with big-jet amenities. And big-jet prices. KSEE Gillespie: Currently my favorite San Diego airport. Better weather, fewer delays, and friendlier tower controllers than MYF. The flying club at the S end of the field (the guys with the Mooney parked out by the roadside) are really great. Calexico: Rosa's Plane Food. Great little authentic Mexican restaurant right on the airfield. It's a bit greasy spoon, a bit authentic Mexico just north of the border. This is the best and fastest spot to clear customs on your way back from Mexico, and while you're there grab some lunch at Rosa's, you might need to brush up on your Spanish to order!